The Complete Guide to the long-awaited Final Fantasy(R) XII will hit stores on 23 February 2007. Developed by a dedicated 30-man editorial team, and weighing in at a reassuringly hefty 340 pages, this is our largest guide to date. 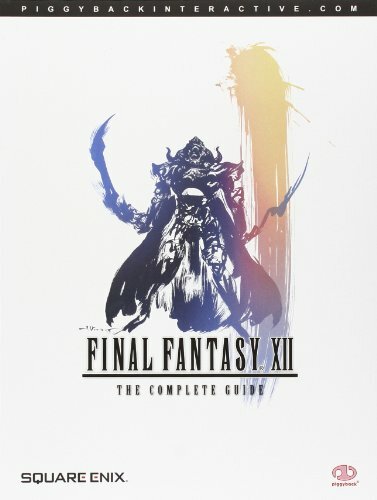 Packed to its very seams with beautiful official artwork, it features a comprehensive walkthrough, information on all secrets, side-quests, mini-games and rewards, and a dedicated Tactics chapter that among many other things reveals hidden facets and functions of Final Fantasy(R) XII s fascinating game systems.